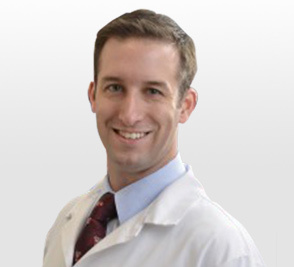 Dr. Darren R Lebl is an Associate Professor in spinal surgery specializing in minimally invasive surgery, the cervical spine, motion preserving spine procedures, and microsurgery. His practice involves a customized approach to each individual patient to help maximize quality of life and musculoskeletal health. He incorporates innovative procedures, newer and less invasive surgical techniques, and biologic healing agents into his practice. Dr. Lebl graduated from The University of Chicago with a triple major in biochemistry & molecular biology, chemistry, and economics with honors in each. He then attended medical school on scholarship at Stanford, surgical residency at Harvard, obtained an MBA degree at Wharton, and subspecialty surgical fellowship at the Hospital for Special Surgery. He pursued additional subspecialty training in cervical spine disorders, occipitocervical disorders, and spinal deformity surgery with international leaders in the USA, China, Japan, Spain, and Germany. 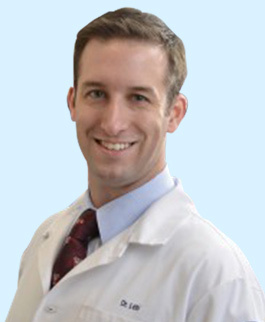 Dr. Lebl was the Editor-in-Chief of the Orthopaedic Journal at Harvard Medical School. He received the honor of serving as the academic Chief Resident at the Massachusetts General Hospital. He was later recognized as an “emerging leader” by the world’s oldest and most distinguished orthopaedic association, the American Orthopaedic Association, for his contributions to education and research. He has authored numerous peer-reviewed articles and book chapters on complication avoidance in spinal surgery, cervical spine disorders, degenerative disorders, minimally invasive procedures, and motion preserving technologies. Dr. Lebl has also participated in medical missions to the Gambia and Ghana in West Africa. Dr. Lebl was the director of the Complex Cervical Spine Symposium at HSS that brings leading international cervical spine surgeons to New York for an educational exchange in a CME accredited surgeon-training course. Dr. Lebl also works with several cutting-edge medical device companies on technologies to improve spine surgery and patient performance. Dr. Lebl is a Fellow of the American Academy of Orthopaedic Surgeons and a diplomate of the American Board of Orthopaedic Surgery. He is an active member of distinguished societies such as the Cervical Spine Research Society, the North American Spine Society, and the Scoliosis Research Society. Dr. Lebl has operated on and cared for spine patients on four different continents and has been an invited lecturer at many regional, national, and international academic meetings around the world. His private patients have included elite professional athletes, international patients, musicians, other doctors, and high performance individuals. Lebl DR, Sethi RK, Anderson PA Harris MB. “Chapter 5 - Clearing the Cervical Spine” in Spine Trauma. 2nd Edition. Alan M. Levine MD, Frank J. Eismont MD, Steven R. Garfin MD, Alexander R. Vaccaro MD, PhD, and Jack E. Zigler MD. American Academy of Orthopaedic Surgeons. Saunders (Baltimore) pp. 55-65. Li W, Lebl DR, Wood KB. “Thoracolumbar Burst Fractures” Controversies in Spine Surgery: Evidence-Based Treatment Recommendations, Ed: Vaccaro, Eck. Thieme Publishers, pp 59-68. Schmitz M, Lebl D, Harris MB. “Chapter 12: Imaging of the Thoracic and Lumbar Spine During the Emergency Department Evaluation”. Spine and Spinal Cord Trauma: Evidence-Based Management. Ed: Vaccaro, Fehlings, Dvorak. Thieme Medical Publishers, Thieme Germany, 2010, pp95-108. Schmitz M, Lebl D, Harris MB. “Chapter 18: The Benefits of Early Stabilization of Spinal Fractures in the Trauma Patient.” Spine and Spinal Cord Trauma: Evidence-Based Management. Ed: Vaccaro, Fehlings, Dvorak. Thieme Medical Publishers, Thieme Germany, 2010, pp157-165. Carrier C, Bono CM, Lebl DR. Evidence Based Analysis of Adjacent Segment Degeneration and Disease Following ACDF: A Systematic Review Spine J. 2013 Oct;13(10):1370-8. Lebl DR, Bono CM, Velmahos G, Metkar U, Nguyen J, Harris MB. Vertebral Artery Injury Associated with Blunt Cervical Spine Trauma – A Multivariate Regression Analysis. Spine 2013 Jul 15;38(16):1352-61. Aichmair A, Herzog RJ, Perino G, Lebl DR. Recovery after Cervical Decompression Surgery for the Treatment of Crowned Dens Syndrome Causing Progressive Neurological Decline: A Case Report HSS J. 2014 Feb;10(1):83-7. Lebl D. Bone Morphogenetic Protein in Complex Cervical Spine Surgery: A Safe Biologic Adjunct? World J Orthop. 2013 April 18;4(2):53-7. Lebl DR, Girardi FP. Isolated Cervical Spine Facet Joint Tumoral Calcinosis. Spine J. 2013 Feb;13(2):208-9. Lebl DR, Cammisa FP, Girardi FP, Wright TM, Abjornson C. The Mechanical Performace of Cervical Total Disc Replacements In Vivo – Prospective Retrieval Analysis of Prodisc-C Devices. Spine 2012 Dec 15;37(26):2151-60. Lebl DR, Hughes A, Cammisa FP, O’Leary PF. Cervical Spondylotic Myelopathy: Pathophysiology, Clinical Presentation, and Treatment. HSS Journal 2011 7(2) 170-178. Lebl DR, Bono CM, Metkar U, Grottkau B, Wood KB. Bioabsorbable Anterior Cervical Plate Fixation for Single Level Spondylosis – Early Clinical and Radiographic Experience. Spine J 2011 Nov; 11(11): 1002-8. Lebl D, Sama AA, Pumberger M, Kotwal S, Cammisa FP, Girardi FP., Reamed Transacral Interbody Fusion for L5-S1 Pseudoarthrosis: A Novel Salvage Technique in 10 Patients. J Spinal Disord Tech, 2013 Aug;26(6):334-41. Lebl DR, Cammisa FP, Sama AA, Mo F, Girardi FP. Posterior Transacral Transvertebral Reamed Lumbar Interbody Fusion for L5-S1 Arthrodesis. Techniques in Orthopaedics Sept 2012, 27(3): 219-221. Lebl DR Cammisa FP, Girardi FP, Wright TM, Abjornson C. In Vivo Functional Performance of Failed Prodisc-L Devices – Retrieval Analysis of Lumbar Total Disc Replacements, Spine 2012 Sep 1;37(19):E1209-17. Lebl DR, Boachie-Adjei O, Akbarnia BA, Gogia J, Krajbich IJ, Woo R, Rahm M, King A, Cunningham M. Treatment of Thoracolumbar / Lumbar Adolescent Idiopathic Curves (Lenke 5C): Anterior vs Posterior Approach with Modern Instrumentation. Complex Spine Study Group. Scoliosis Research Society – 47th Annual Meeting, Chicago, IL, 2012. Lebl DR “Minimally Invasive Surgery for the Degenerative Lumbar Spine”, Hokkaido University Hospital, Sapporo, Japan, September 6th, 2011. Lebl DR, Cammisa FP, Girardi FP, Wright T, Abjornson C. The In Vivo Wear Patterns, Surface Properties, and Fixation of Cervical Total Disc Replacements – A Retrieval Analysis of Prodisc-C Devices Cervical Spine Research Society – Scottsdale, AZ, December 10, 2011. Lebl DR, Cammisa FP, Girardi FP, Lee S, Wright T, Abornson C. In Vivo Wear Properties from Thirty Explanted Prodisc-C Devices – Retrieval Analysis of Cervical Total Disc Replacements. EuroSpine - Milan, Italy, October 19-20, 2011. Lebl DR, Cammisa FP, Girardi FP, Lee S, Mo F, Wright TM, Abjornson C. Retrieval Analysis of Lumbar Total Disc Replacements – A Study of in vivo Wear, Surface Properties, and Fixation. International Meeting of Advanced Spine Techniques Copenhagen, Denmark July 16th, 2011. Lebl DR, Metkar U, Grottkau B, Wood KB. Bioabsorbable Anterior Cervical Plate Fixation for Single Level Spondylosis – Early Clinical and Radiographic Experience. North American Spine Society, 25th Annual Meeting Oct 7, 2010.